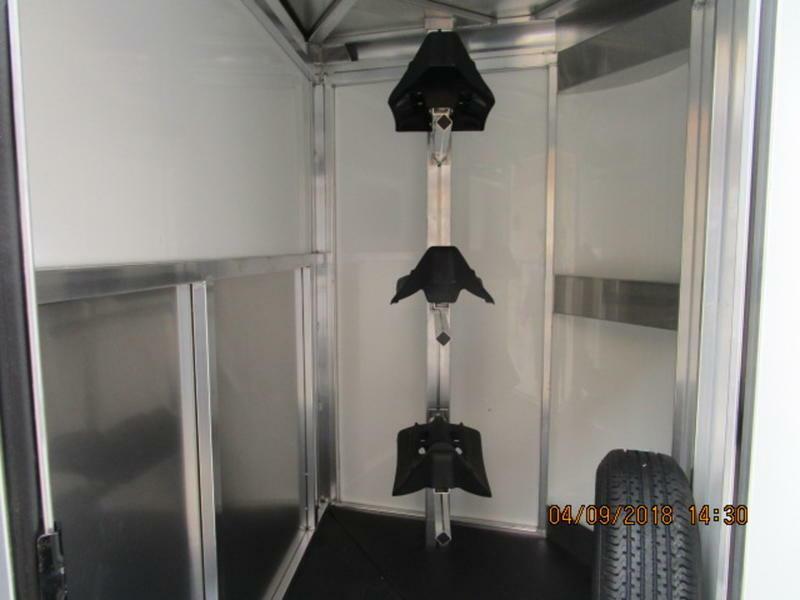 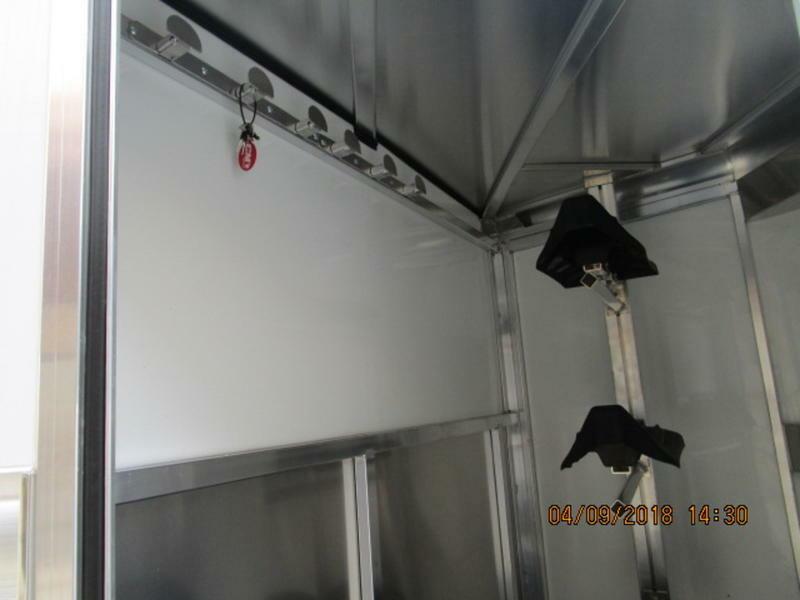 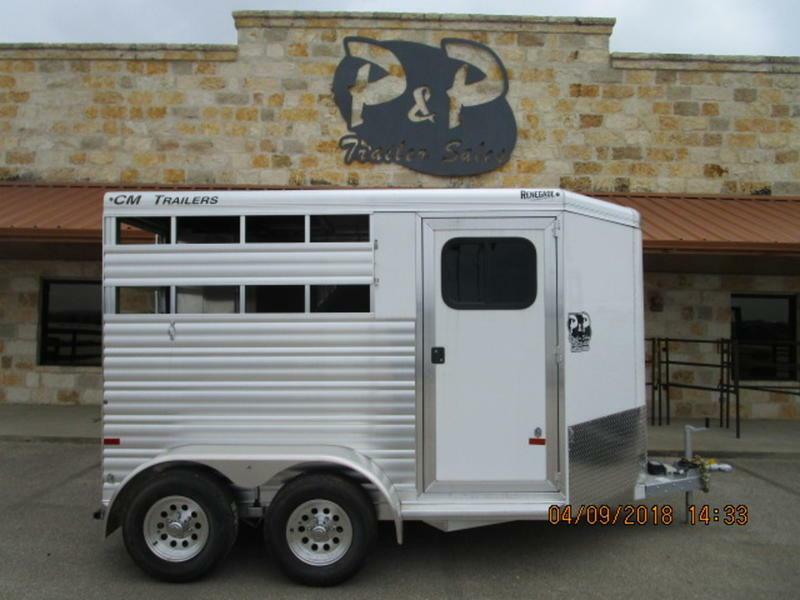 This all aluminum bumper pull trailer includes a collapsible rear tack with movable saddle rack post. 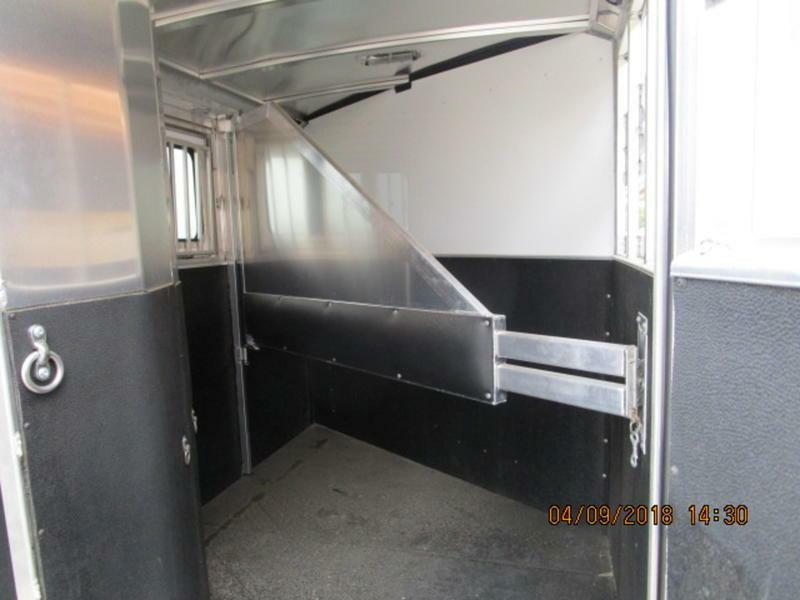 Can be moved to frong dressing/tack room. 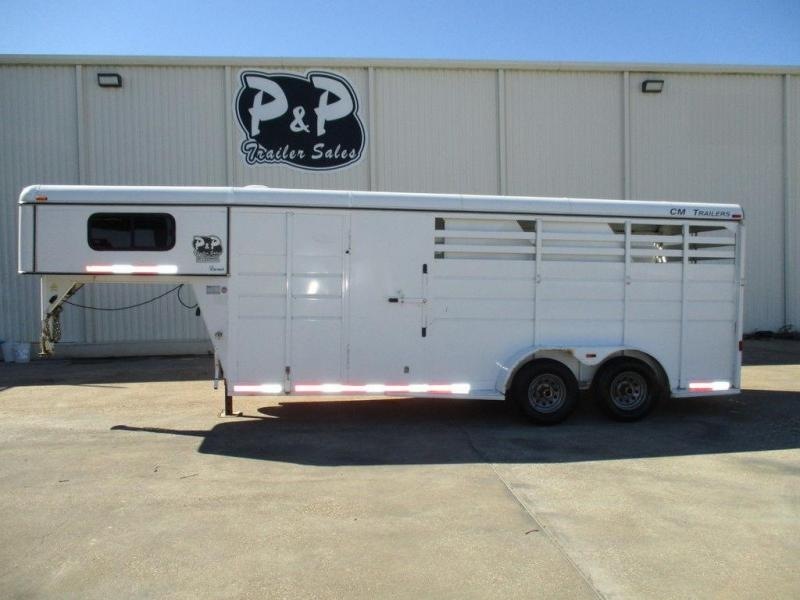 It has heavy duty drop down windows and bars on the head side and open slats on the tailside and rear load door. 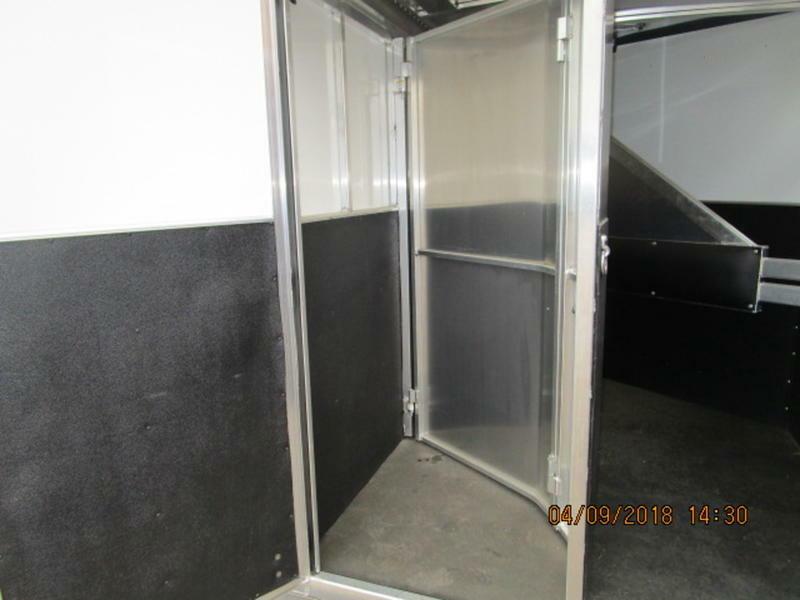 Plexiglass can be added to slot openings. 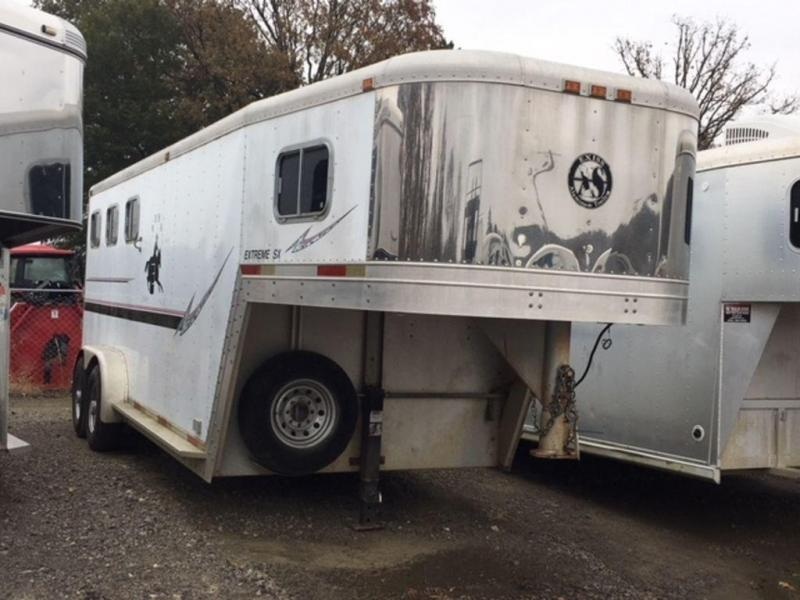 Gravel guard on the front. 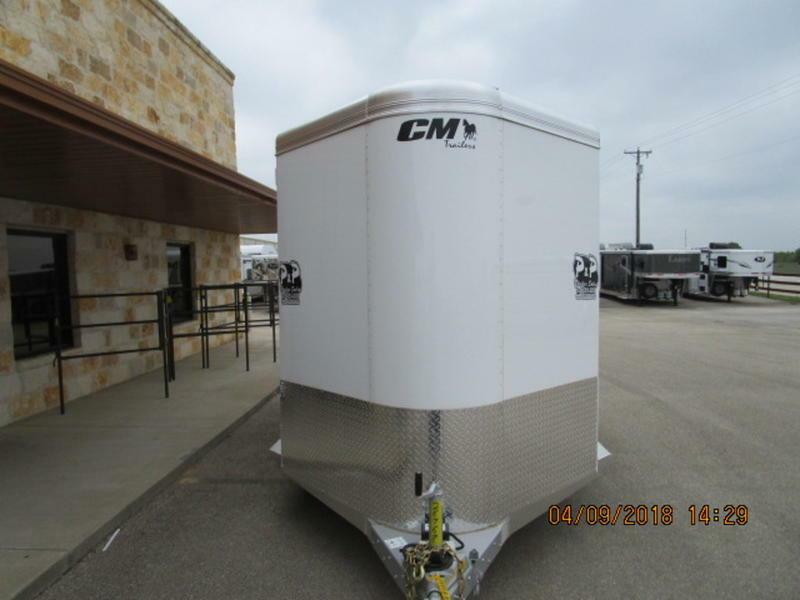 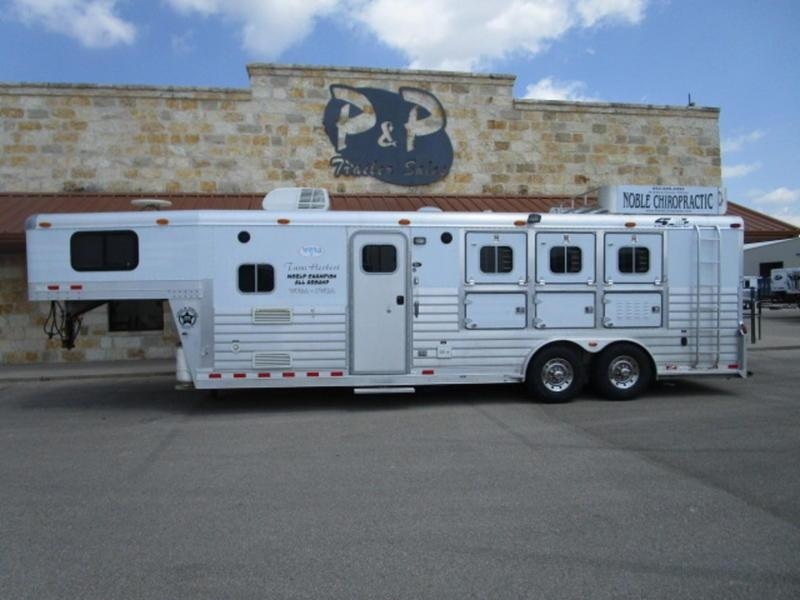 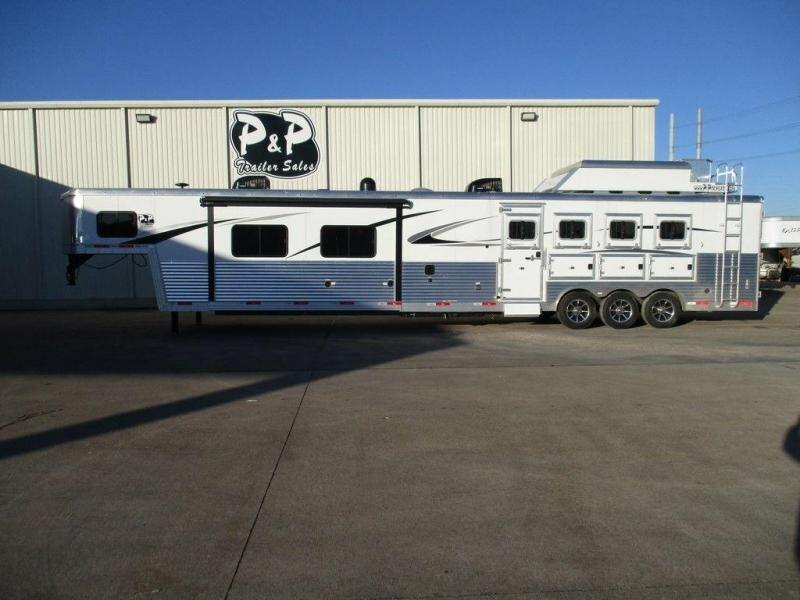 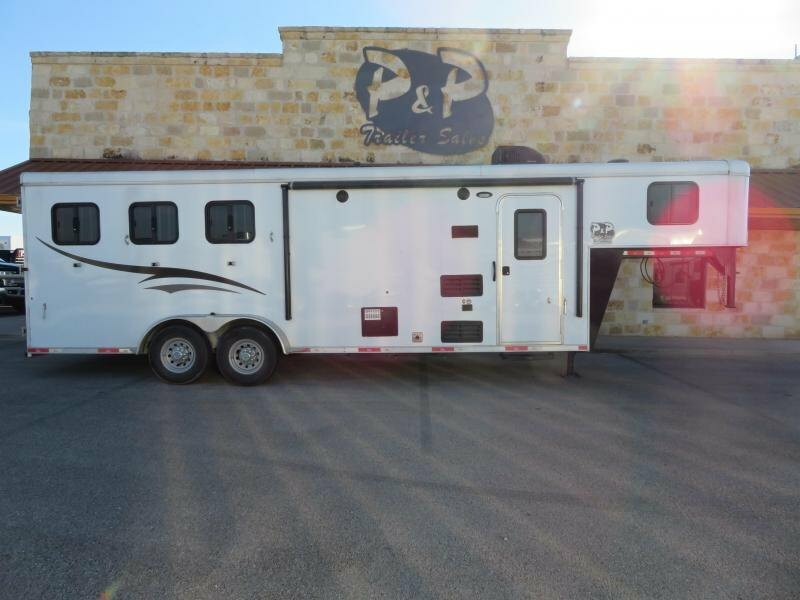 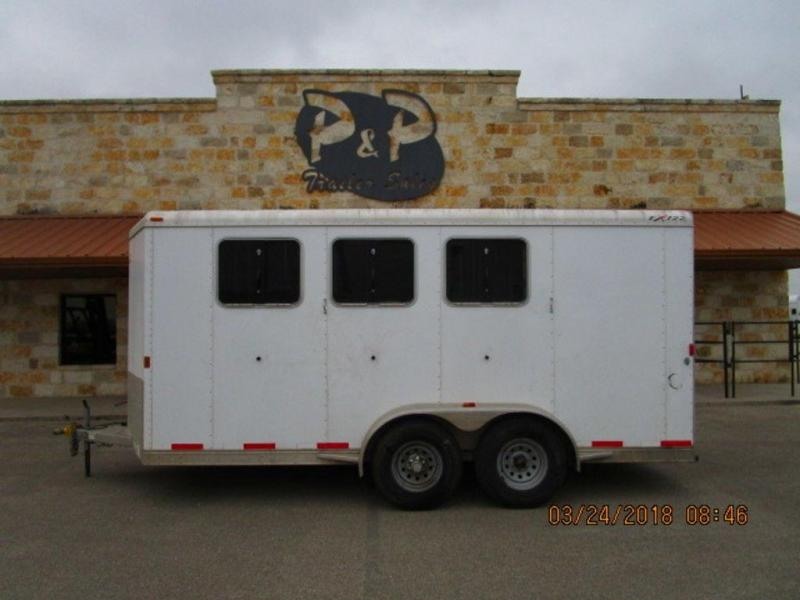 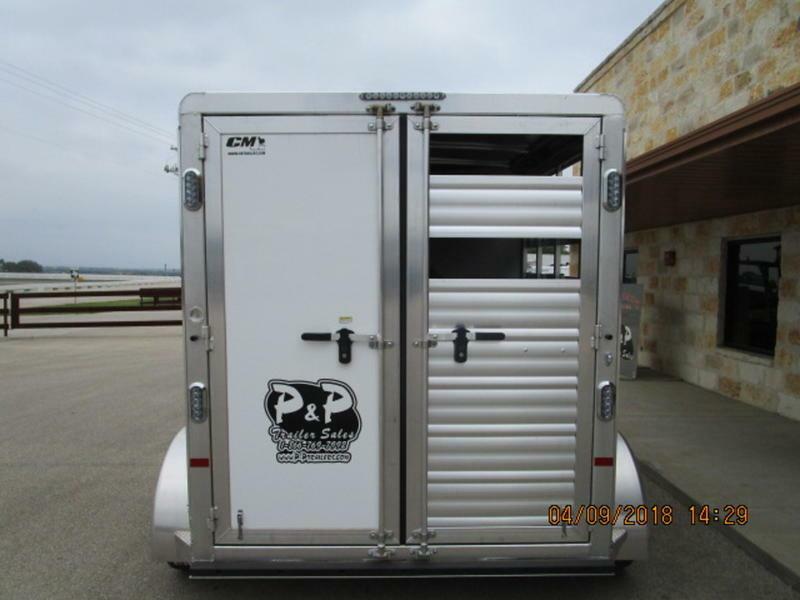 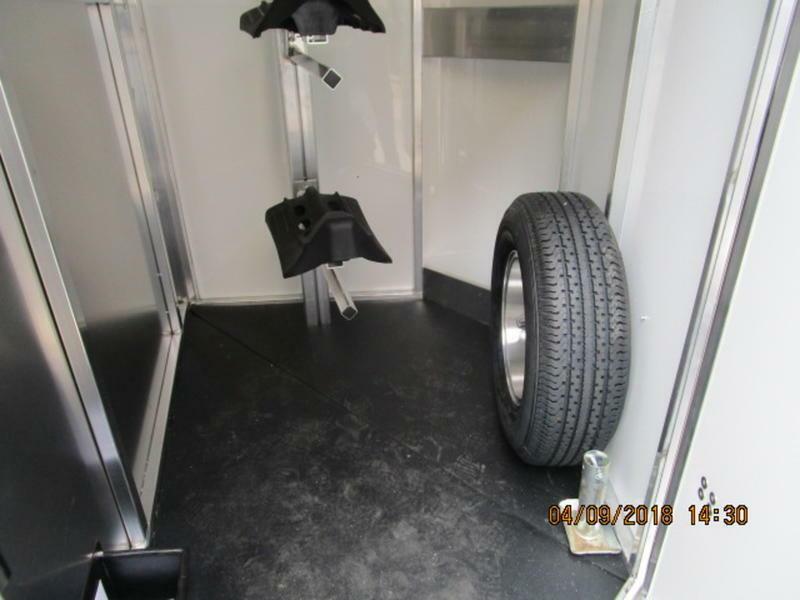 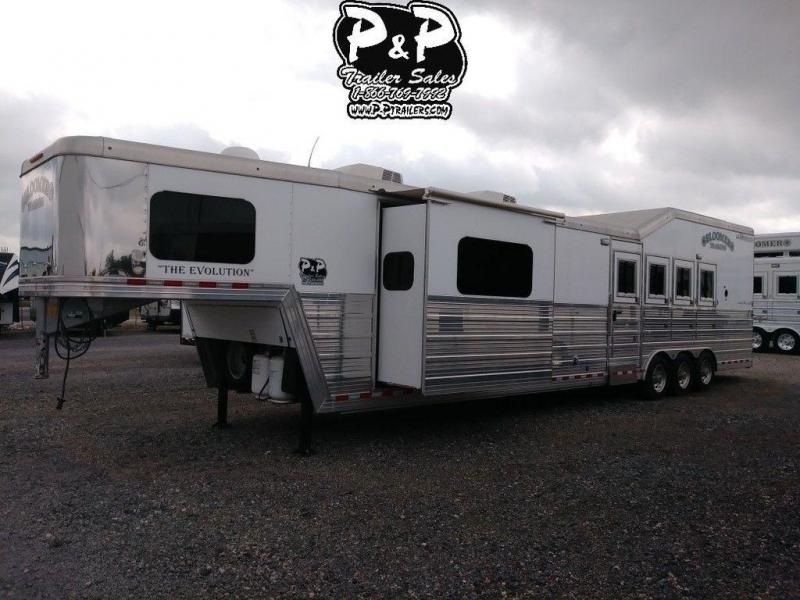 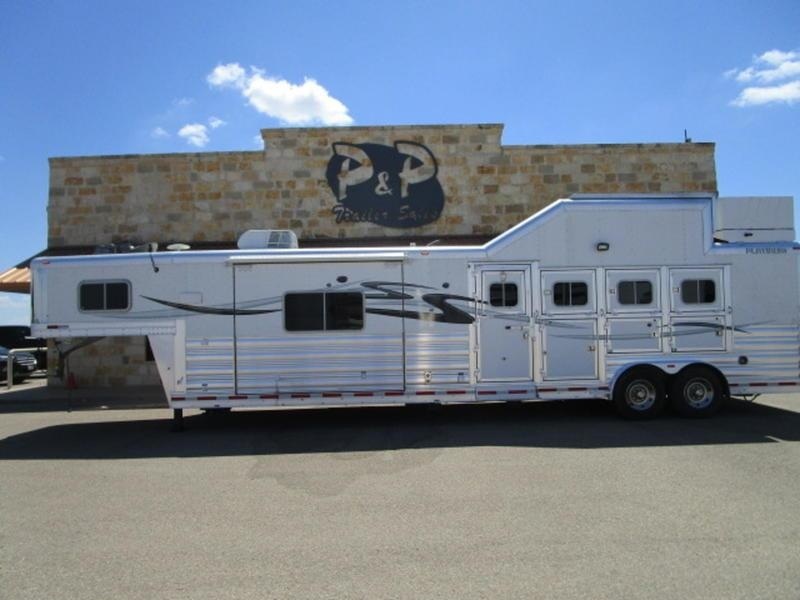 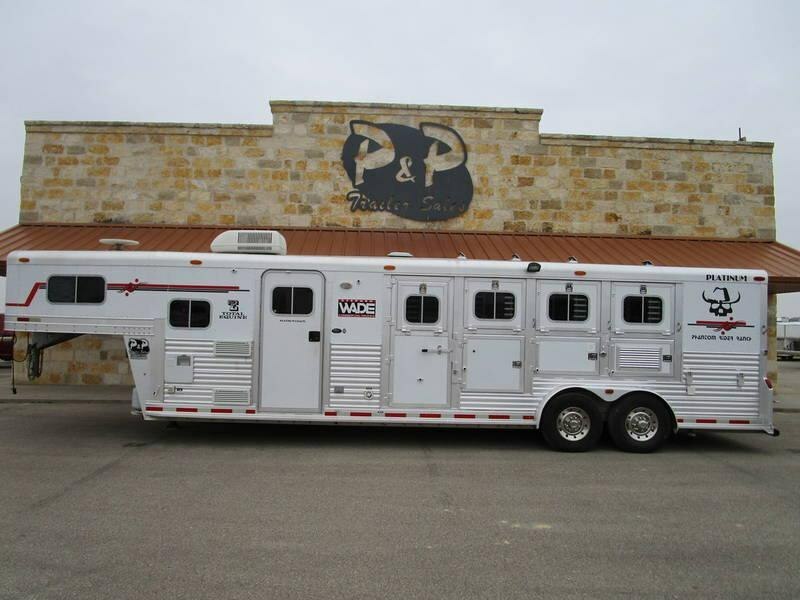 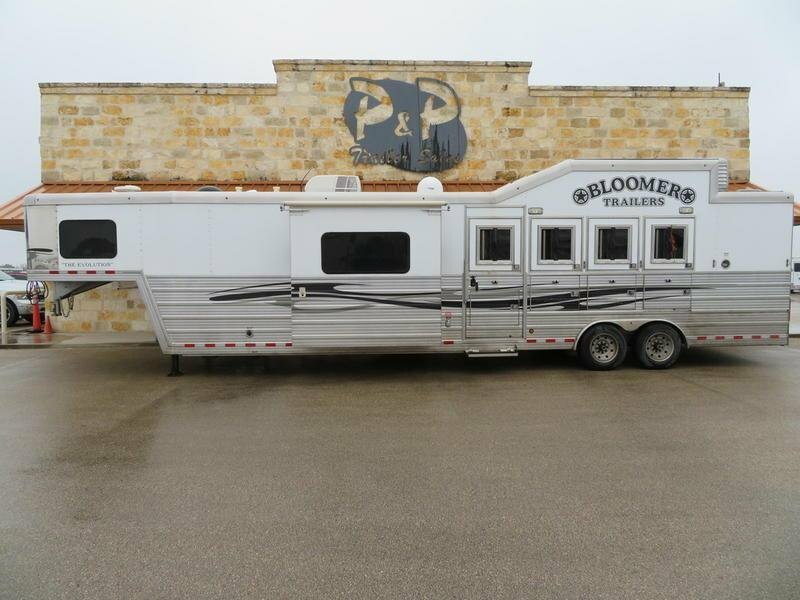 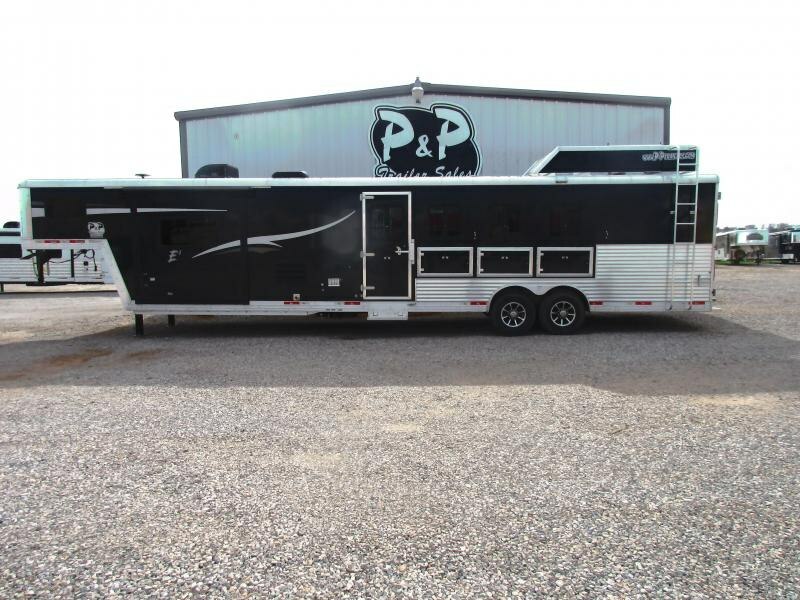 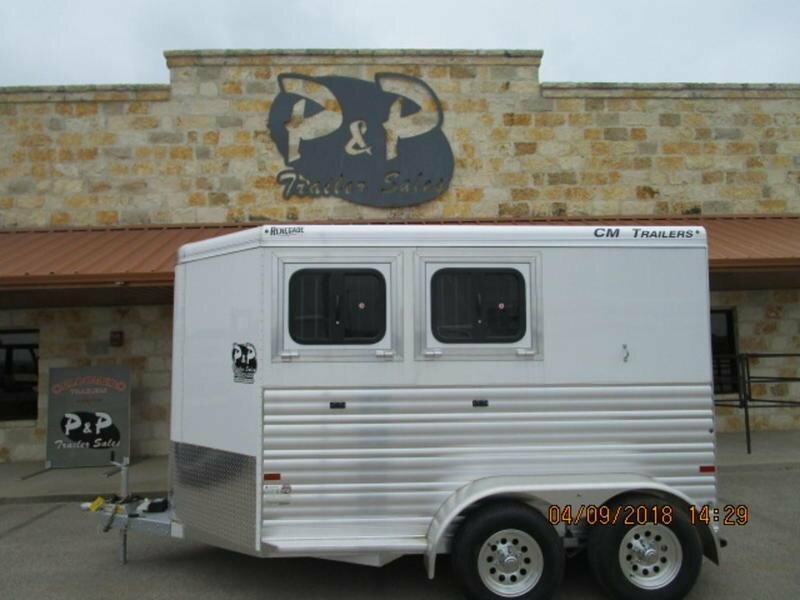 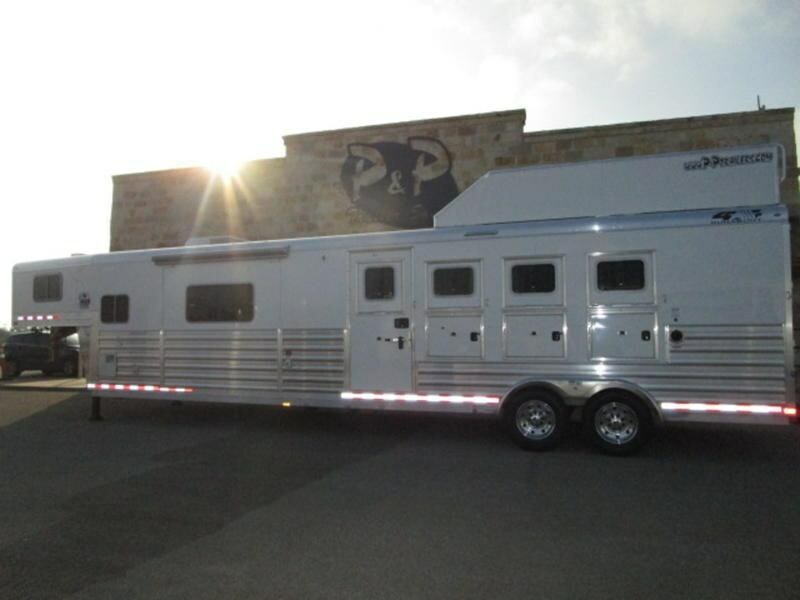 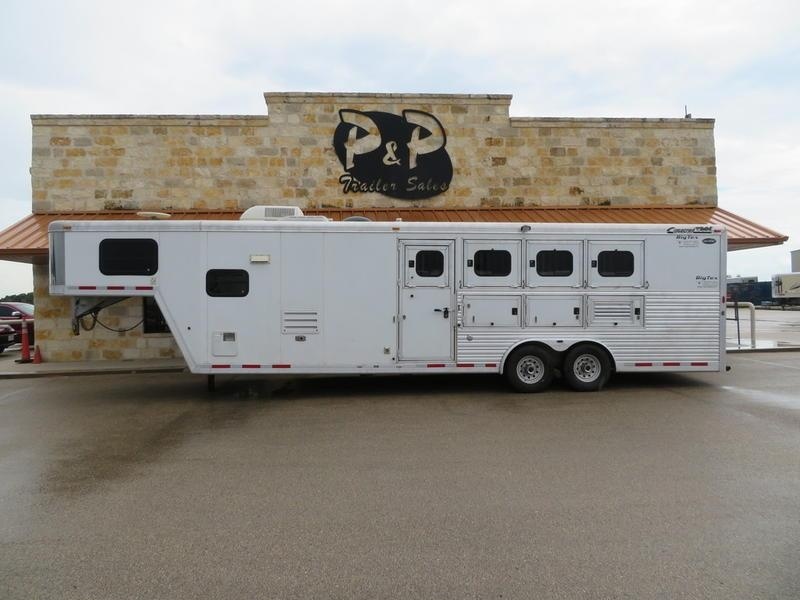 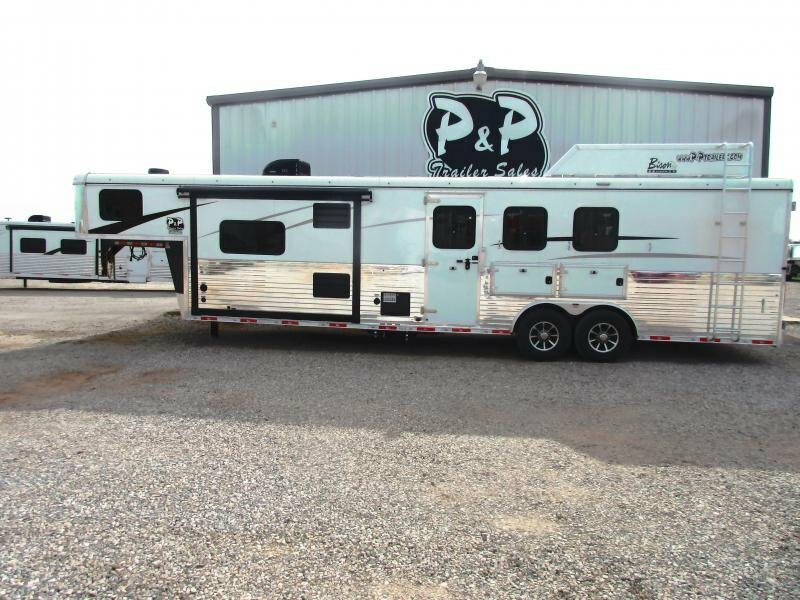 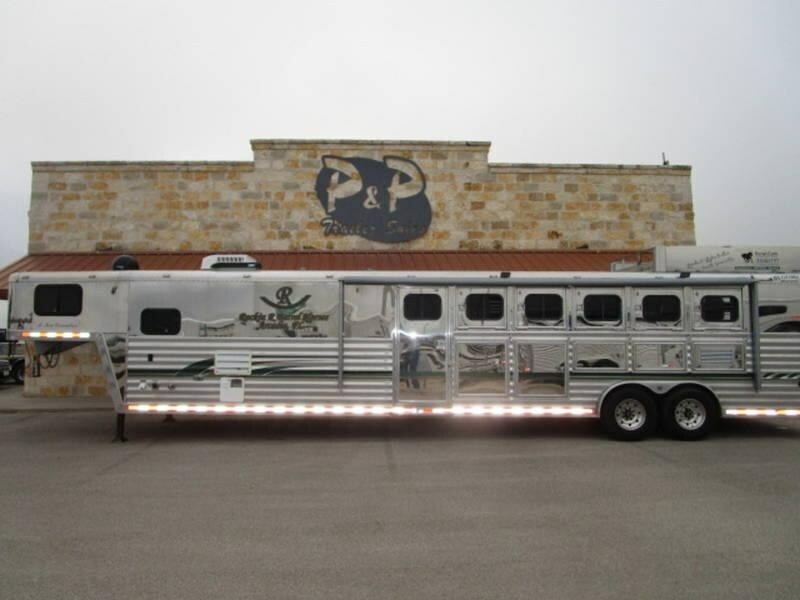 Includes 3 saddle racks, blanket bars, brush tray, spare tire, telescoping padded divider, roof vents, rubber mats, and aluminum wheels.